Imscorp, Lincoln, NE, owns a pair of manufacturing companies, each with its own set of sheetmetal-fabricating equipment, and a variety of sheet-nesting software products used to plot cutting operations. The two companies: SourceOne, a custom contract manufacturer and powder coater, which also manufactures its own line of outdoor power equipment; and Bison, Inc., a manufacturer of sports equipment, outdoor site furnishings and custom gymnasium structures. 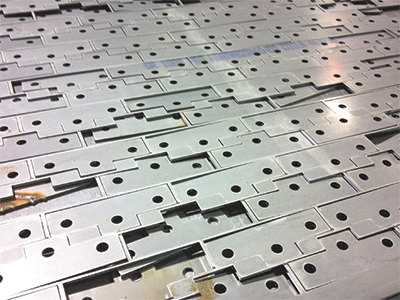 To make its sheetmetal-fabricating processes (laser cutting and turret-press punching) more cost-effective, Imscorp created a corporate cost center in a new facility to handle sheetmetal operations for both companies. It implemented a new MRP system, and then decided that to improve shop-floor efficiency and the companies’ freedom to select any brand of fabricating equipment, it would need to standardize on one nesting system and programming software. 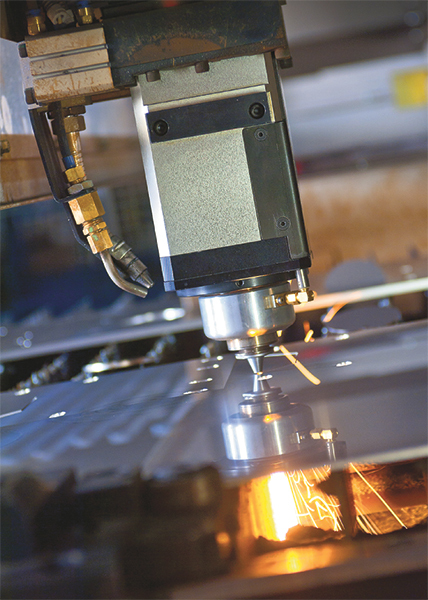 As its software solution, the firm selected Jetcam Expert, supplied by U.S. distributor NestOne Solutions, Duluth, GA, and purchased postprocessors for each of its machines. Kreuzberg was surprised at how quickly the system was up and running. After going live, sheet utilization increased by 15 percent (or more, in some cases). And, more efficient nests means that fewer sheets must be loaded onto the machines. Jetcam also stores remnant sheets for future use, further reducing waste. Programming time also improved dramatically, with Imscorp taking advantage of Jetcam’s automatic component creation, tooling and nesting. CAD files automatically are imported using the software’s single-component automatic processing function, with component files being created, tooled and ready for nesting in seconds. And, the company takes information from its MRP system into Jetcam to combine orders of the same material and thickness. “The system paid for itself in less than 8 months,” concludes Kreuzberg. Your comment doesn't justify response. This guy did not do a single beneficial thing for IMS Corp and most certainly did not conduct this study. He is incredibly hard to get along with and everyone there is happy he is finally gone.